Consider this: The doctrine of the Mormon Church consists of revelations given first to its founder Joseph Smith, and after his death the gift of these divine revelations was passed on to church elders that succeeded him. Late in the 19th Century, the Mormon rulers of Utah, having to make the choice between polygamy and statehood, received yet another “revelation” from god enjoining them from taking plural wives, thus clearing the way for statehood. In 1978, several years after the Civil Rights Act was passed, the Mormons still held that people of dark complexion were cursed, barred from even the lowest tier of church leadership, and inferior to the light haired and skinned inhabitants of the Great Basin. That same year, Church elders received another “revelation” that put blacks on equal footing. 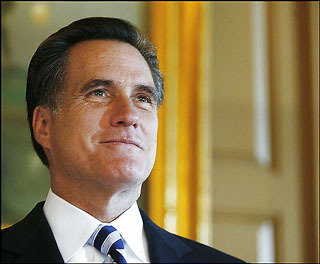 It then comes as no surprise that another scion of the dynastic leadership of the Church of Jesus Christ and the Latter Day Saints, Mitt Romney, sees no irony in the fact that only three years ago, his views on reproductive rights took a u-turn. A revelation…maybe? And should he be faced with the question, “boxer’s or briefs” will he ask for a third category? Note: Your correspondent apologizes for the lull in blog posts. He was on hiatus, reveling in the stunning natural beauty of the great state of Oregon.